Medicine Man, the new release by the Canadian heavy metal group SNAKE EYES SEVEN is set for a March 30th release on HighVolMusic and will be distributed through Amped Distribution. This latest effort features 9 tracks of classic heavy metal and their most solid effort to date. Medicine Man was engineered and mixed by Cam MacLeod at the Wolf's Den in Canada and mastered by Maor Applebaum in Los Angeles, California. A new video for the track "Medicine Man" will debut on February 28th, worldwide. A video for the track "Can You Hear Me Calling" can be viewed below. "Speaking Ill Of The Dead"
"Can You Hear Me Calling"
SNAKE EYES SEVEN features members Cole 'The Madman' Stevens (g), Cam MacLeod (g), Danny Deane (v), Mike Cillis (b), and Erik Young (d). 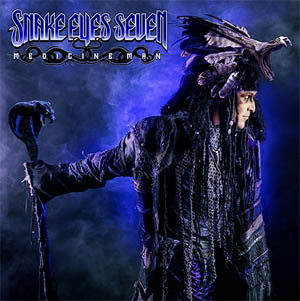 The band recently launched their new website at www.snakeeyes7.com.